Dogs come in all shapes and sizes as the variety of breeds never seem to end. For centuries, dogs have made their way through the world and still continue to increase. As the size only continues to get larger for many, we have listed some of the biggest breeds of canine found in the world. 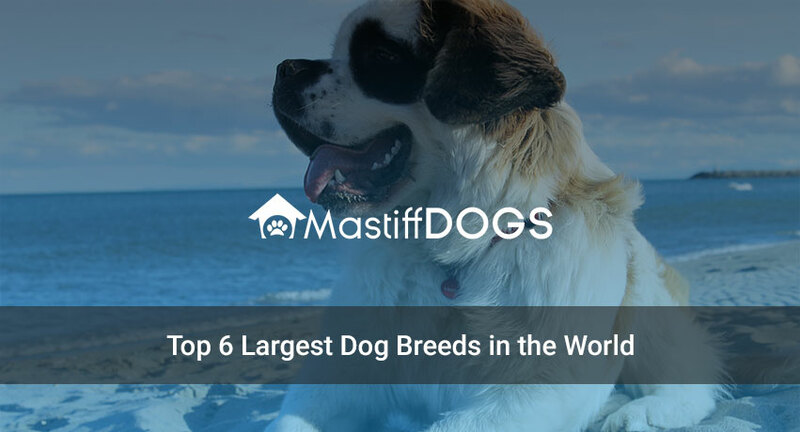 Here are the top 6 largest dog breeds in the world today. The infamous Great Dane is considered as the largest breed in terms of height. As a breed stemming from Germany, it’s original name is Deutsche Dogge, which is also known as the German Mastiff. However, this breed originally stemmed as a crossbreed between the Irish wolfhound and English Mastiff. While they are not the heaviest dogs on our list, they can grow up to 120 pounds on average. 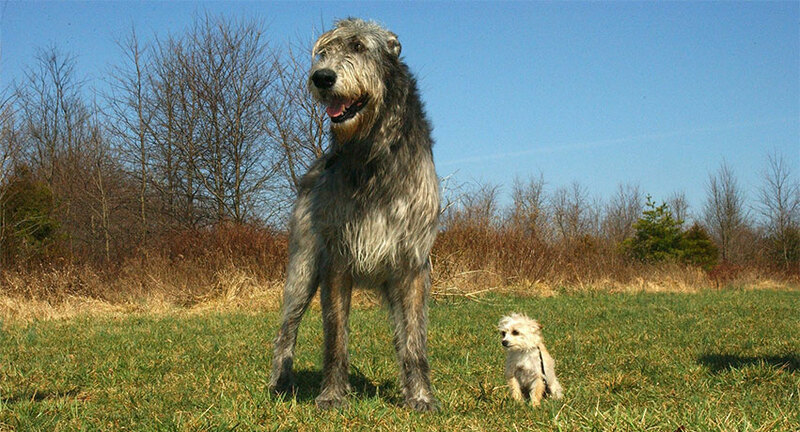 Originally used to chase down solves, the Irish wolfhound bred was used for hunting and guard dogs. Today, they are fairly calm and reserved just as they are also easy going and intelligent. According to the average breeding standards, the Irish Wolfhound stands at a minimum 32 inches tall. As the mixbreed of the Saint Bernard and the Newfoundland, this mix was said to originate during the 1840s. The breed can weigh as much as 170 pounds and stand as tall as 30 inches. Fairly, they are giant dogs with a purpose to protect the family. The dog also does well in water in addition to herding. Originally from the Swiss Alps, the rescue dog can stand as tall as 30 inches and weigh as much as 180 pounds. These rescue pups were known to help find and save travelers and passersby. 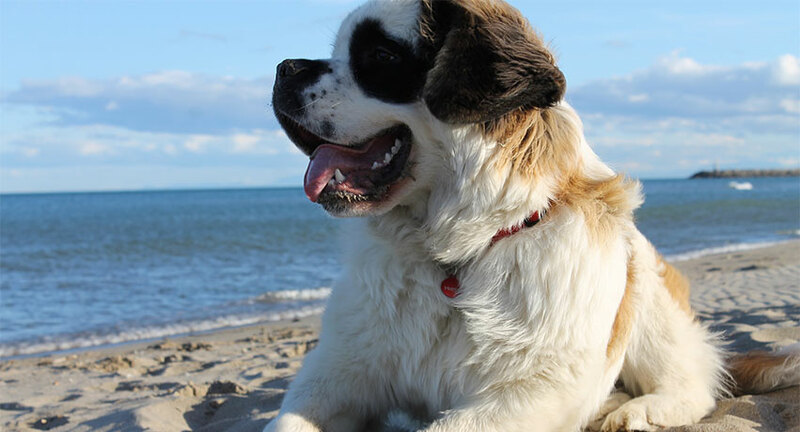 Today, Saint Bernards are family dogs as they are known for their gentle spirit, love, and great companionship for children. Originally from Newfoundland, this working dog wasn’t actually bred to be a guard dog. Rather they were trained to help fishermen haul nets from boats and even catch anything that falls overboard. The breed is a great water dog and well-known for their strong swimming skills. This mastiff breed is large. So large in fact that they can weigh well over 250 pounds. Their weigh even considers them that the heaviest dog breed ever recorded. One English mastiff dog named Aicama Zorba was weighed in at roughly 345 pounds. It is said that their heavy weight was due to their historical purpose of blood sports such as baiting lions, bulls, and even bears. Today, these gentle giants are now mellow and balanced with a side of loyalty that makes them the perfect pet for your family. What is your favorite type of dog breed? Are they found here on our list? Comment below and tell us what you think!